The HTC Bolt with android 7.0 nougat is powered with the latest version of Android. This is one of the key features of the phone which is just available in a few new phones. Another feature of the phone which will make you go bombastic is the expandable memory of the phone i.e 2 TB. You can go for downloading your favorite movies, songs and applications. The phone is quite above the average budget. It has been priced up to 30000 INR. So plan it only if you are willing to opt for a higher range. If you examine the specs of the phone, you will come to know that htc bolt full specification truly justify the price. Thus, you should definitely go for the phone if you have a good budget and you are looking out for a memory that big. The HTC Bolt design supports the network type GSM/LTE. A single nano SIM slot is available with the phone. A 3.55 mm jack is inserted in it with active noise cancellation and a dedicated mic. It also contains alert for all types. The dimensions measure 153.6x77.3x8.1 mm and the phone weighs 174 grams. The HTC Bolt display has a display screen of 5.5 inches. It has IPS LCD capacitive touchscreen with 401 PPI of pixel density. Multi-touch display features with screen resolution 1080x1920 pixels are also incorporated in the phone. Available colors are gunmetal and glacier silver. The HTC Bolt camera has a dual camera of 18 MP rear and front shooting of 8 MP. So selfies should be on the go with this phone. Video recording of 3840x2160p @30 fps comes with the phone. The other features of this phone support phase detection auto focus, face detection, touch focus and auto flash. Therefore, it offers quite an impressive overall camera. 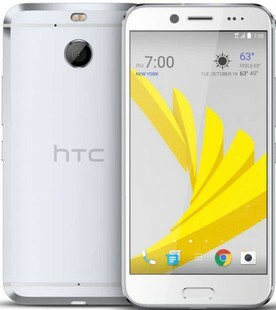 The HTC Bolt has a main memory of 64GB with a 3GB RAM. Expandable memory up to 2 TB is a rare feature available with the phone. You can easily store all your stuff at one place without worrying about the memory. The HTC Bolt battery is of Li-Polymer type. The battery of this phone cannot be removed. It has a capacity of 3000 mAh. Sufficient talk time of about 500-600 min approx is available. The HTC Bolt is powered by an Octa-core Qualcomm Snapdragon 430 MSM8937 chipset built on Cortex A53. The frequency is clocked at 1.4 GHz. Latest android version Nougat 7.0 is the platform the phone runs on with Adreno 505 GPU. This phone is also packed up with some common features like Bluetooth (v4.1), USB connectivity, NFC, WiFi (802.11ac/b/g/n/), Wi-Fi direct, hotspot, and GPS (A-GPS). Sensors like accelerometer, light, proximity and compass sensors are also available in the phone. You will not be able to identify a single reason for not having it other than the price. All the top quality features are there in it. The HTC Bolt mobile price in India is 29990 INR. HTC Bolt full specs and reviews as of Apr 2019. Buy it here!